In another of our occasional look-backs at Vale events of yesteryear, we recall the season that Mark Chamberlain blossomed into a Port Vale star. It was the 1981-82 season and Chamberlain, along with brother Neville, was a mainstay of the Port Vale side. The winger was an ever-present and netted eight times that campaign (including a memorable goal against Mansfield when he stood off the pitch only to re-enter it, tackle the Mansfield keeper and tap the ball into the net). Chamberlain’s talent was being recognised on a wider stage and he was named in the PFA team of the year for that season. 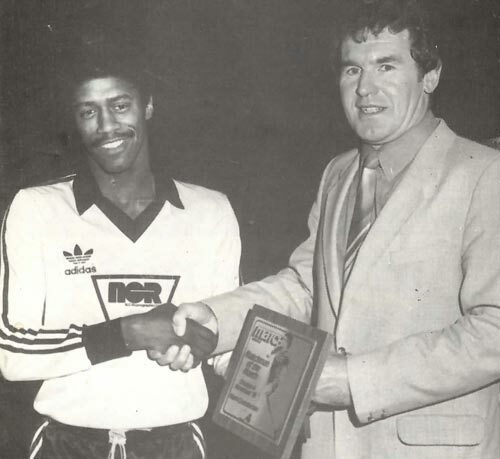 He also received a slightly more unusual award after being named the Daily Star’s “player of the division” for the 1981-82 season. Brothers Mark and Neville Chamberlain were locally-born youngsters who progressed through the club’s junior ranks. 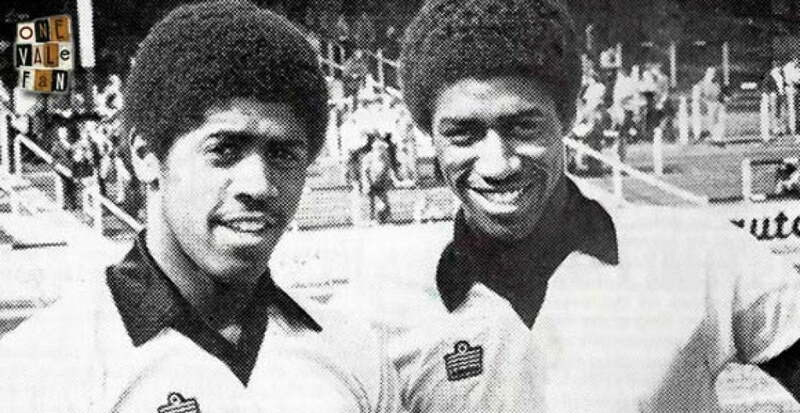 Neville made history by becoming the first black player to sign professional terms with the club and the pairing of Neville with younger brother Mark in 1979 (pictured right) was the first time two brothers had played in attack for Port Vale during the same game. 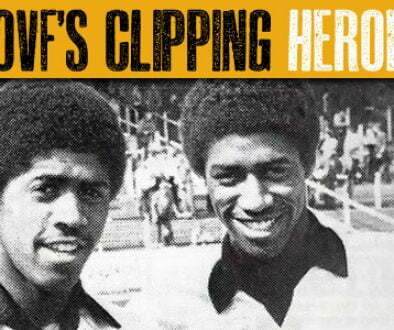 The brothers played many more games in tandem before they were jointly transferred to Stoke City in 1982. Mark subsequently became a full England International and his son (Alex Oxlade Chamberlain) currently stars for Premier League side Arsenal. Neville went on to manage several local non-league sides after retiring from playing. Neville made a total of 141 league appearances (32 goals) while Mark made 96 appearances and scored 11 goals. Both Chamberlains were highly talented players but they were also able to use their familial traits to gain an advantage in other ways. According to Jeff Kent’s Port Vale Tales book, the pair used to regularly swop shirts during the half-time interval in order to confuse the opposition players marking them!